Accurate load calculations require precise measurement of your vessel’s equipment. Refer to equipment manuals for actual load ratings or consult with a qualified marine electrician to determine your actual needs. 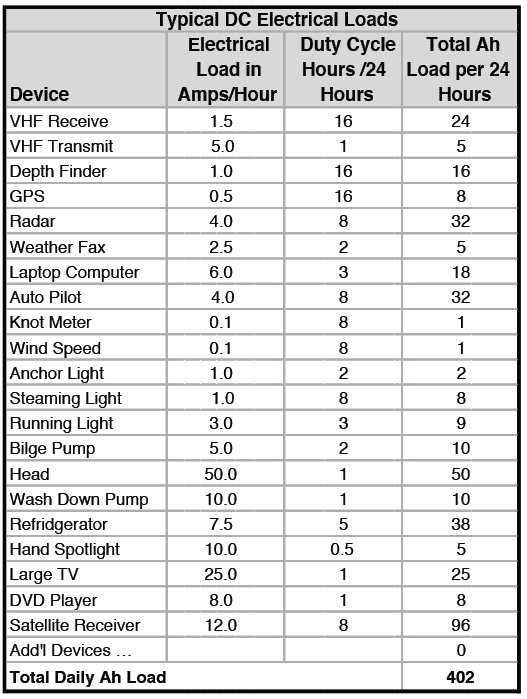 The chart at the right provides typical DC marine loads and an example of load calculations. Use this example to configure and calculate your vessel’s electrical load. Click here to upload Balmar’s interactive Load Calculator and save it for your personal use. You can manipulate the Load Calculator in either Microsoft Excel or Google Docs. For 165A – 200A requirements, choose an AT-Series Alternator Package. * Note: Balmar’s 1/2″ Deep Vee Pulleys (Single or Dual) can accept a 3/8″ and 7/16″ belt. Balmar 6-Series Alternators from 70A-100A can perform with a 1/2″ Single Vee pulley. If you need to charge above 100A, then you will need a Dual Vee or K6 Serpentine pulley system to be present on your engine to avoid a pulley upgrade. If a Dual Vee or Serpentine is not present, then an AltMount Conversion Kit is required. 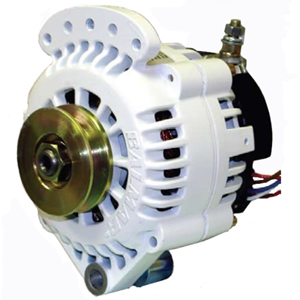 Unless you own a recently produced engine which already contains a Dual Vee or Serpentine pulley system, the superior power afforded by the AT-Series Alternator Package will in most cases require an AltMount Conversion Kit upgrade. Choose wisely! Need more help? – call Go2marine Technical Support to review your existing configuration and needs. 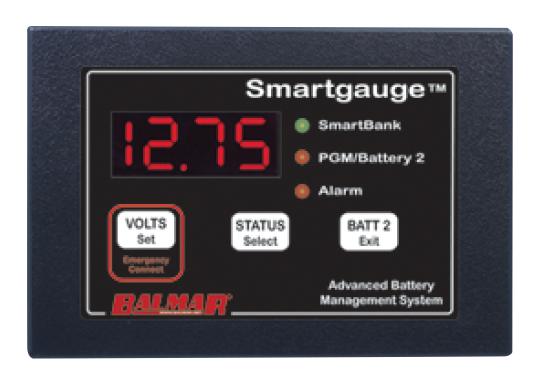 Now that you have selected an appropriate Balmar Alternator Kit, complete your purchase by adding a SmartgaugeTM Battery Monitor and a Belt Buddy Tensioning Kit!